Tamar Manasseh speaks at the Unitarian Church of Evanston. Manasseh spoke about building communities and combating violence. Following the shooting death of Lucille Barnes in 2015, Tamar Manasseh knew she could no longer be complacent. She said she knew she had to do do something to “fix the scourge of gun violence that grips Chicago,” so she set up lawn chairs and a barbeque on the corner of 75th Street and Stewart Avenue — the same corner where Barnes was killed. From that street corner, Manasseh founded Mothers/Men Against Senseless Killings to put eyes on the streets in order to replace violence and crime with meaningful community. “I am not an activist, I am not a community organizer, I am somebody’s mother. That’s all that I am,” Manasseh said Thursday at Evanston’s third annual Racial Justice Summit. The summit was hosted by the Evanston/North Shore YWCA at the Unitarian Church of Evanston. Manasseh was the keynote speaker at the event, and spoke about the power that a visible community can have in preventing violence. She said that the census tract that MASK serves has seen the sharpest decline in violent crime in Chicago over the past three years. Manasseh said MASK’s next step was to build “pocket community centers” on vacant lots in the Englewood neighborhood of Chicago. She said multiple smaller community centers will better serve residents because gang boundaries restrict children from traveling to certain parts of the neighborhood. However, she said, a “bomb” was dropped on the Englewood community in February when the Chicago Board of Education announced it would close four neighborhood high schools. 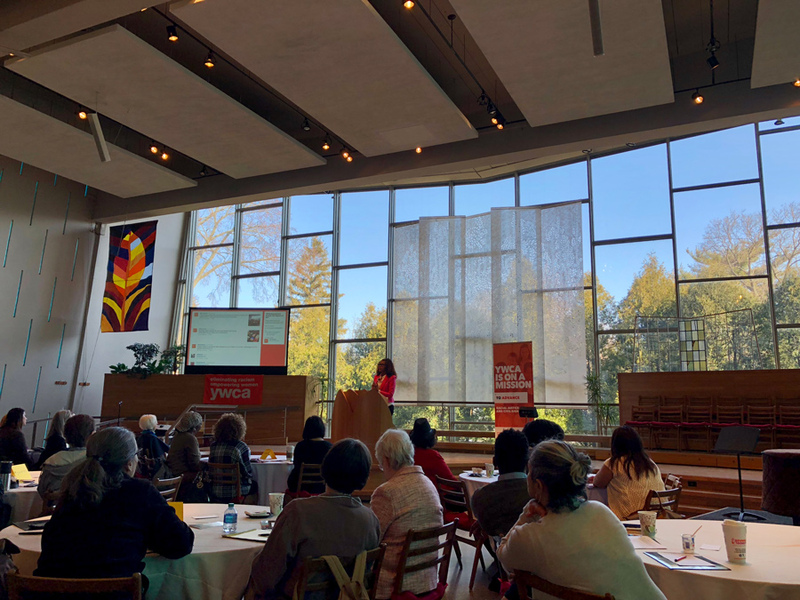 Evanston/North Shore YWCA racial justice director and summit organizer Eileen Hogan Heineman said the summit’s theme, “The Urgency of How,” aims to focus on action. Manasseh said she thought it was important to speak in Evanston in order to make local residents understand that violence does not just affect other communities.